The Judge made this observation in a Judgment disposing of an appeal by one N. Dileep, an Engineering student who had met with an accident and sustained grievous injuries while travelling as a pillion rider in a two-wheeler and abus was coming in the opposite direction, hit the motor cycle. The Court also said that the award amount shall be paid to the claimant by the Tribunal in the form of a crossed Account Payee Cheque, favouring only the claimant and it should not be issued in favour of any other person/Company. Registry was also directed to send a Circular to all the Courts dealing with M.C.O.P. cases, directing them to follow the direction in this order. 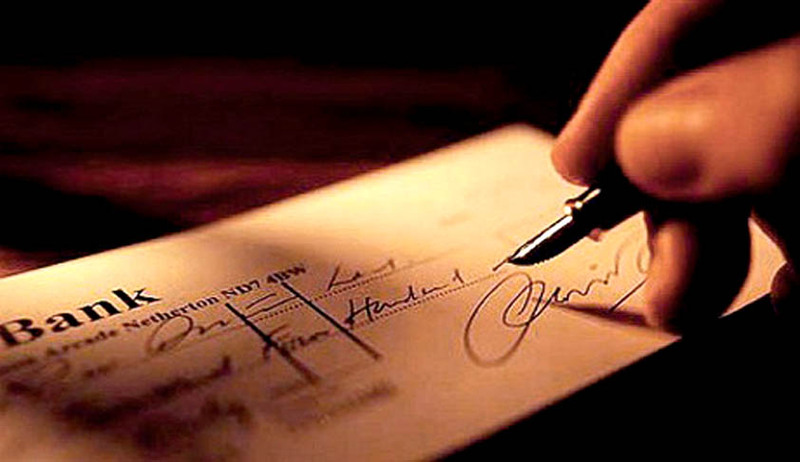 Crossing a cheque by making two parallel lines with or without such words as “& co” is general crossing.Section 126 of the Negotiable Instruments Act says that ‘Where a cheque is crossed generally, the banker on whom it is drawn shall not pay it otherwise than to a banker’. It means that the payment would not be made through the counter.In this “A/C payee” crossing, the collecting banker is supposed to credit the amount of the cheque to the account of the payee the name mentioned only.